Wow! that's a lot of werewolf threads! Seems pretty cool. I especially like that moonstone/werewolf hide idea I saw. Support. Sometimes only i bother to search. Wow. Sad to think none of these posts got anywhere. this is proof, and it is, that that werewolves are over suggested, really there must be a reason these posts didnt go anywhere. No, They have these freakin things are Terraria... I do NOT wanna go down this road again XD. Plus if it is a werewolf, if it bit you, you would be on too. 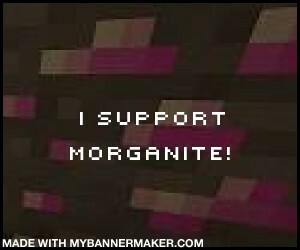 Does not fit Minecraft at all :/ No support. That is a three year old topic. If it is redundant , then people obviously like it , no ? What do you mean my grammar? you probably didn't read any of the suggestions forum sticky note. None of that was bold, but you still failed to recognize one outstanding rule. use the stupid search button before making a suggestion, and if you didn't understand that it's as if you didn't read it. Hmm , strange I didn't see your post a even after 20 minutes of waiting, by then I edited the post. And as for the 'stupid search button' don't you dare be mean to that search button , it's my best friend. Say sorry to it right now, you hurt it's feelings . That's not even a spelling mistake, i write in separate lines. Why shouldn't people make more? I know its redundant but I like the idea and I want to share my idea whether other people have suggested it before or not. I have the right to speak my mind, its a free country, right? and anyway what does it mean if your in a free country? this is a forum were they're are more rules about speaking and posting then on your average political country. nvm, ignore the whole idea, forget about it forever, people are just gonna post more and more werewolf threads, I mean look at how much people have already posted it. You're just going to post the same things over and over, "This is redundant, this is stupid, stop posting this stuff". What is this, mo' creatures? Partial support. And call it a "dire wolf" if you want it to be unique. That would be great, but shouldn't the villagers become werewolves? Too over-rated for minecraft. Posts like this are going in the direction of adventure-fantasy games such as skyrim... over-rated. You said overrated twice, and besides, I think people misuse that term A LOT. I mean, just because you dislike something popular, doesn't mean it's overrated. Anyway, Minecraft is a kind of hybrid of a sandbox-fantasy-adventure. Adding a typical fantasy creature won't suddenly lurch it towards one side forever. I mean, we added a DRAGON, which was MOST OF THE MAIN PLOT of Skyrim, and Minecraft wasn't ruined forever. Can't support there's already enough hostile mobs. Isn't Minecraft supposed to be an adventure/fantasy game? Yes, but not to this point. This is to the point of unicorns and such. Minecraft is much more adventure than it is fantasy. much more building than anything else.